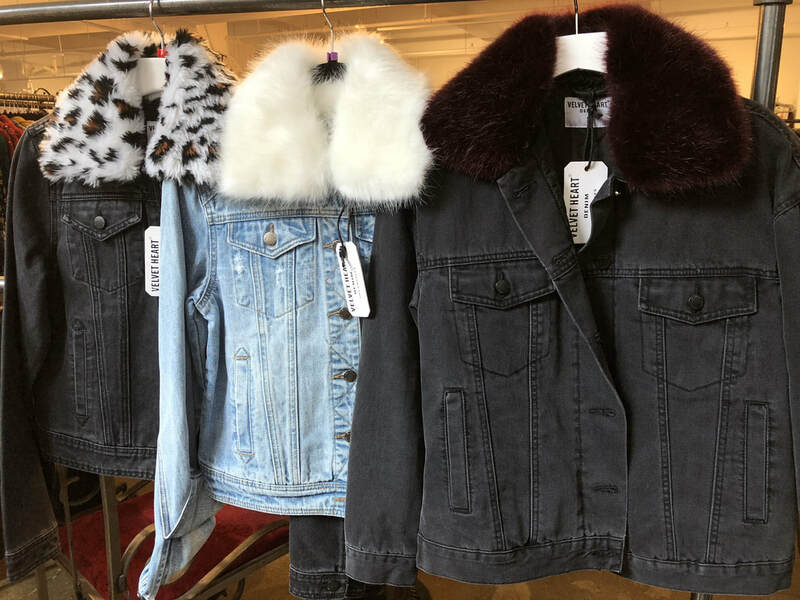 One of the best sellers we are seeing for Velvet Heart are the denim jackets with the fur collars. The fur collar is detachable making the jacket perfect for the changing weather. You can pair this jacket with jeans to match or a dress to create a trendy, street style.